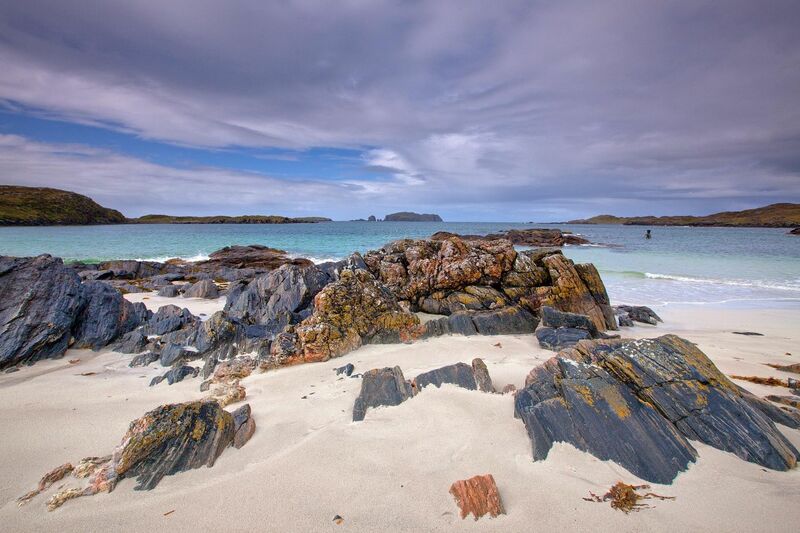 A favourite with many visitors and locals alike is Bosta Beach, Great Bernera, Isle of Lewis. The Time and Tide bell, which you can see in the water, was installed in 2010 and works with the rise and fall of the tides, with the water at high tide moving the clapper to strike the bell. Played by the movement of the waves, the bell creates a constantly varying musical pattern.